New Tech: Banner Engineering's LTF Time-of-Flight Laser Sensors Just Got Even Better! Banner Engineering's LTF Time-of-Flight Laser Sensors Just Got Even Better! 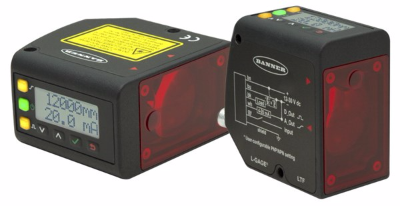 Banner Engineering's L-GAGE LTF Laser Sensors are now available in extended range models. These extended range models are able to detect and inspect objects from up to 24 m away without the use of a retroreflector, while still achieving accuracy error of less than 1% of range and less than 25 mm of accuracy error when using a white target. Considered an affordable alternative to sensors with similar range capabilities, they offer greater range capabilities than similarly priced time-of-flight sensors. CLICK HERE for more information on Banner's LTF! Call C&E at 800-228-2790 for questions, or for more information.